We understand that home improvements are a major investment for most people and we’re here to help you make the right choice. Our sales and support team are always happy to answer any questions you may have – no high-pressure sales calls or home visits. You can rest assured that when we replace a conservatory roof it will be carried out to the highest standards, using only quality materials and all backed by a 10-year HomePro insurance warranty. Our specialist teams of qualified builders and installers take great pride in their work. All work they undertake is building regulations approved and certified by the building control department of your local authority. 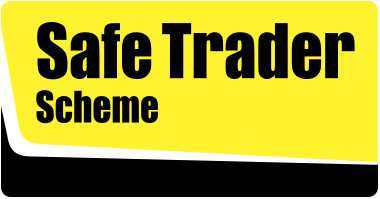 We're committed to treating all our customers honestly and fairly and as such, we are registered members of the Lancashire Trading Standards' Safe Trader Scheme. Members of the scheme must ensure that they comply with all relevant legislation, have insurance policies in place and agree to abide by the Code of Practice. Customer satisfaction is everything and we value our reputation. That's why we encourage all our customers to submit reviews, comment on and rate our performance on the Checkatrade website.